Episode #30 Timecapsule: A horrifying crypt lies hidden beneath the Morgans Plot graveyard near the Karazhan Tower. 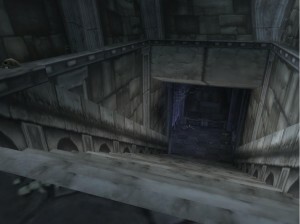 Few players have ever witnessed the six different sections of these forgotten underground chambers. The true purpose of this Karazhan Crypt is a complete mystery, yet speculation lingers on as explorers discover its haunted zones… including the Upside-Down Sinners Room. Part 1 of 2. This entry was posted	on Monday, November 29th, 2010 at 9:31 pm	and is filed under Podcast Episodes. You can follow any responses to this entry through the RSS 2.0 feed. You can skip to the end and leave a response. Pinging is currently not allowed. I’m pretty sure that the Karazhan Crypt was used for the old attunement for the Karazhan key wasn’t it? Or am I mistaken? tell us how to get in~! I was lucky enough to get in way back before Karazhan even opened. It did not serve any in-game purpose and was never ‘open’ to explore as such but there were a few tricks to get in and I don’t know if they work anymore. The way I remember doing it was having a friendly mage duel you right next to the door (which was closed with iron bars) then get them to polymorph you. In polymorph form you were able to wander through the bars as if they were not there and once on the other side you could use a trinket or whatever to break out of polymorph. Probably one of the most interesting secret areas in WoW.